Anyone who knows me knows that I am the worst at secrets. If I have a secret present for someone, I’ll probably give it to them early. This, by the way, applies only to my own secrets. If someone else tells me something in confidence, that’s their thing and I cannot spill the beans. So over the summer I have been simply buzzing with keeping this secret to myself. Thanks to the time I spent writing at WoW Insider, I was asked to contribute to the official Warlords of Draenor strategy guide! The mage section is my work, and many of the class section writers are people you may know from Twitter or having written in other places. But of course, since doing this involved access to secret information (or at least a general knowledge of the game’s release date before it was announced) we also had to sign an NDA as part of the process. So I kept it to myself even though I was really excited. It’s the first time I’ve ever written something for publication. I still can’t show you any images of the book itself or its contents (shh, secrets) but you can pick up a copy for yourself on November 13th if you’d like one. To tell you exactly how I feel about this whole process, first I have to tell you a story. Really, it’s the story of me and World of Warcraft. I’ve told this story a few times, so bear with me if you’ve heard it before, but back in 2008 when Voss and I started playing WoW…it had been a really long time since either of us had played any kind of MMO. We’d met playing Ultima Online back in the ’90s but we both stopped playing that and had never picked up anything like it again. Neither of us had played the RTS Warcraft games so we didn’t have much of a tie to those, either. We were both peripherally aware of WoW, of course (who wasn’t?) but had never consider playing it because we knew how much you could get lost in a game like that. But a confluence of factors led us to change our minds. Voss’ dad had just been diagnosed with cancer. Things in my work life weren’t really going well. Actually, they weren’t going anywhere. I’d quit my clerk job working at a registry to focus on my art and try to have a career with that. But I didn’t really know where to start and honestly, I was floundering. I don’t remember who suggested it. But we decided to try playing World of Warcraft. I think we were both looking for an escape. Because I believe in studying for anything important, we went to the store and bought the World of Warcraft guide. It had overviews of class information, dungeon maps and guides to quests. We pretty much read it cover to cover. It didn’t stop us from being complete noobs about some things, but I remember poring over that book (especially the maps) in preparation for our first dungeon run. We knew group content was serious business and we didn’t want to be terrible. I rolled a priest because of that guide. It said that if you enjoyed being helpful to your group, a priest was a good choice! Of course, as you know, I didn’t stay a priest. But I was one at first. I look back on the version of myself from 2008 who bought that guide and I have to smile. If you’d told me then, that six years later I’d be writing a mage section of the most current guide, I wouldn’t have believed you. Those intervening years contain thousands of words written in blog posts (some of which I was paid for), hundreds of hours spent drawing and painting commissions for people I met through the World of Warcraft community and later working on From Draenor With Love with my friend Rades. 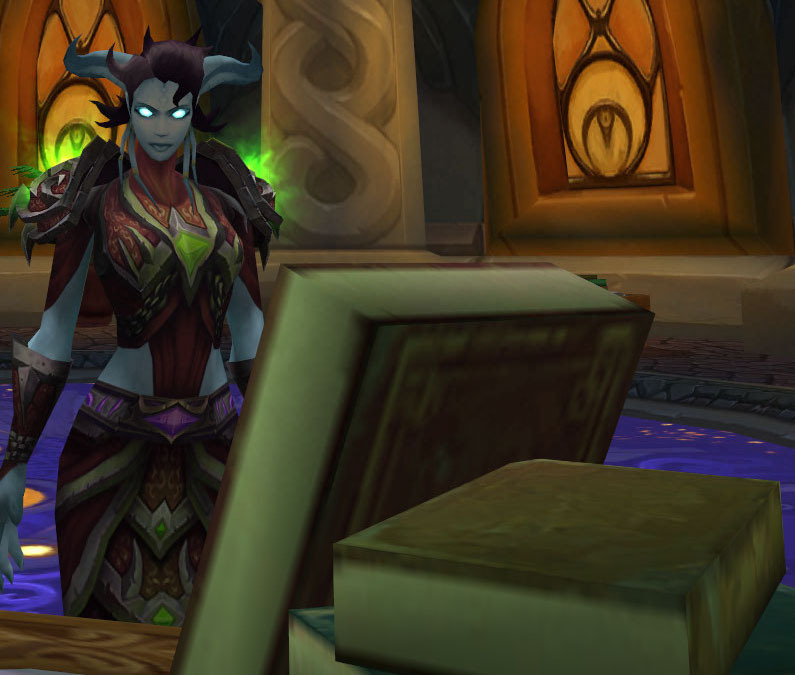 I’ve made some of my closest friends thanks to WoW, re-imagined what my career could look like, and saw it develop in unexpected ways. I honestly owe so much to WoW. Now, another thing to add to that list is that a few weeks ago I got a cheque in the mail that marks the first time I’ve been paid for published writing. It hit me unexpectedly, but I held it and tears sprang to my eyes. I haven’t yet received my copies of the actual physical thing. And I don’t mean to make too much of a big deal out of this, I mean, I didn’t write and publish a novel. But I wrote and it was published and they paid me, and it’s meaningful to me. If you asked me when I was a kid what did I want to be “when I grew up,” I would’ve told you I wanted to write and illustrate books. I meant children’s books (the only books I knew, at the time). I wouldn’t have expected this. But I’m learning that some of the best things are the ones you didn’t anticipate at all. I’m just really grateful to have had the opportunity, and I’m grateful for everything this community has brought to me. That’s really what I want to say. Just a big thank you to everyone in this community who ever encouraged me or struck up a friendship with me, or helped me with their own work. Thank you to Anne Stickney who asked me to write for the guide. Thank you to Perculia, whose data wrangling helped me actually write it. I guarantee you that my section of this guide couldn’t have been written without Perculia and the other great folks at Wowhead. Now that I’ve met her in real life, I can’t check something on Wowhead without thinking of how hard Perculia works and appreciating that. It’s the passion of all the people involved in the WoW community that keeps me playing, writing, drawing, and putting so much of myself into this game even six years later. I’m sad that I won’t have the chance to meet or visit with anyone at Blizzcon this year, but still really glad I was able to go at all. This Saturday we’ll have some local friends and guildies over – friends we never would’ve met if it hadn’t been for this blog. I can’t say anything more than that, really. Things happen in mysterious ways and I can’t be anything but ridiculously thankful for my good fortune. If you get your hands on a copy of this guide, flip through and appreciate all the work that went into it from many talented writers! I’m glad to count myself among them and I really appreciated the experience. Technology has not been kind to me today. I waited patiently for the patch to deploy (these things take time) but some weird glitch prevented Vosskah’s install from patching correctly and so I spent a lot of time fretting about that. I wrote an entire blog entry that WordPress then ate. (This isn’t that post, that post is gone forever and you only get this post). I had just enough time to mess around with addons a bit before a guest arrived. I spent some precious moments with the target dummies after; long enough to know beyond a shadow of a doubt that FIRE MAGES ARE AWESOME. More about that later. Meantime, the technology that worked most unfailingly for me today was my Kindle, as it happily delivered the new Christie Golden book, Tides of War, while I slept. I read it in bits and pieces throughout the day and then in one big gulp at the very end. What follows is part review, part synopsis, part reflection on the events in the book – and most importantly, it is chock full of spoilers. 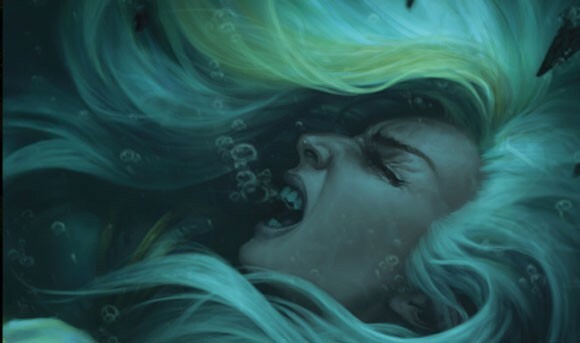 Do not read any further if you don’t want spoilers for the new Tides of War book about Jaina Proudmoore. I can’t say this more plainly. Come back after you’ve read the book if you intend to, and you don’t want anything spoiled for you. If you are someone who is subscribed by e-mail, delete this e-mail before reading it! If you 1) don’t care about spoilers or 2) have no intention of reading the book but want to know what happens in it anyway, then read on. I’ll put a big image here to keep people from seeing spoilers they may not want to see. If you scroll past the image and have things spoiled for you, I claim no responsibility. 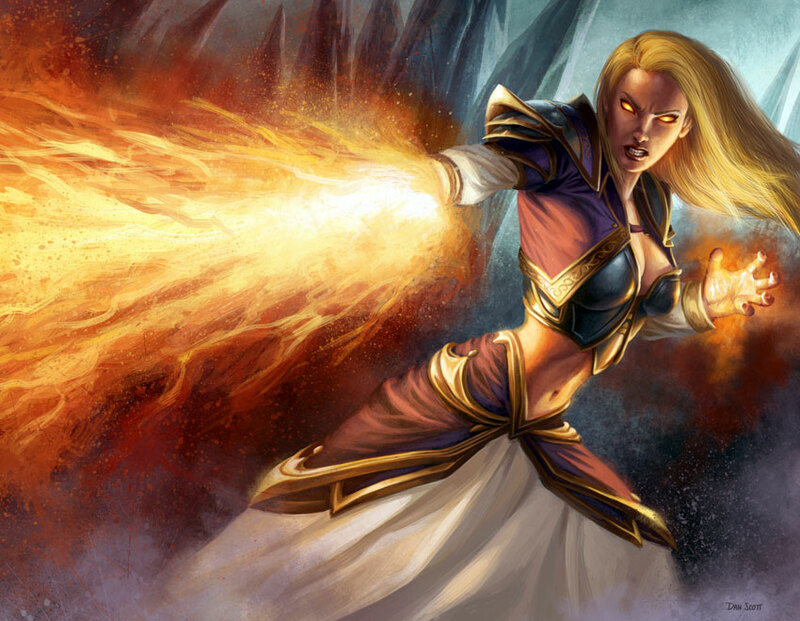 Jaina Proudmoore art from the WoW TCG. Okay. Are those folks gone? Now let’s talk about the book. I’ve found the Warcraft books in general to be somewhat hit and miss. Arthas was a big miss with me (and I bought that one in hardcover). I like Rise of the Horde because it is the most information about draenei ever put in one place. This book continues more in the vein of the pre-Cataclysm book in that it’s closely tied with in-game events as well as published concurrently. The book itself opens about a week to a week and a half before the destruction of Theramore. The way it’s structured actually worked extremely well for me, lulling me into a false sense of security. In a way, even though I knew events would somehow lead to Theramore’s destruction, I was still deceived by the beginning parts of the book. Jaina is in Theramore, Jaina is generally happy, you get to meet Jaina’s new apprentice and all of her friends and staff in Theramore. They joke about conjuring cookies. I’m not even kidding. So I started out really excited. This book is awesome! There are so many mages! They are my cookie-conjuring brethren. Then things start to get real. 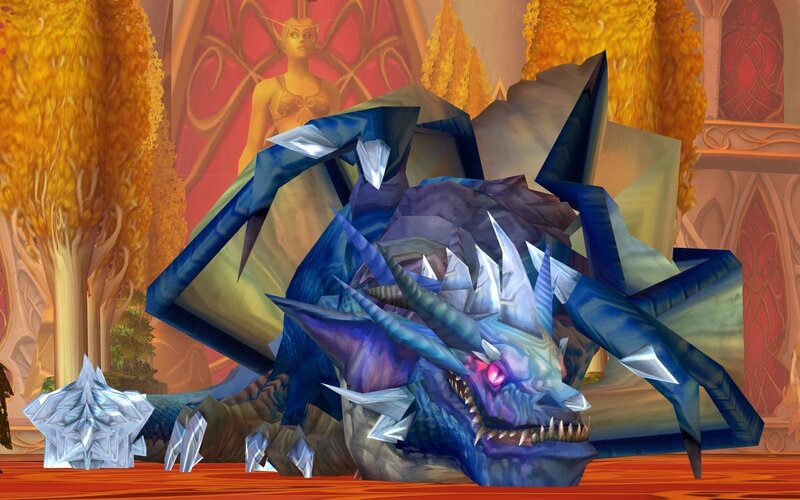 The initial conflict of the story begins with the blue dragonflight losing control of the Focusing Iris. 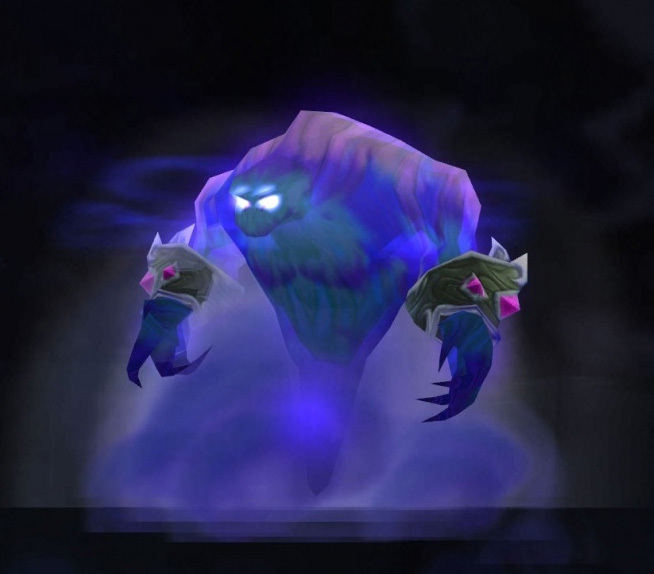 You’ll remember it from such events as making it possible to use the surge needles in Northrend and channel the arcane power from the ley lines while under Malygos’ control. It also helped to animate Chromatus (in the Thrall: Twilight of the Aspects) book. This is an artifact of truly awesome power, and you’d think they’d keep a better eye on it. The Iris is stolen while the blue flight is attempting to relocate it – no word on how the Horde knew where and when to find it, incidentally. They were going to disguise and then hide it in the ocean but that didn’t pan out. Things escalate from there, with Garrosh announcing plans to move against North Watch and subsequently Theramore and ultimately all of Kalimdor; he wants to use a victory against Kalimdor to isolate and eliminate all Alliance presence from it while helping himself to the resources and lands contained therein. Not everyone in the Horde is too happy about that, and it’s a subplot throughout the book that Garrosh’s methods and his Kor’krons grow increasingly violent. Orgrimmar is for all intents and purposes under martial law. Though this is understated, it’s understood that if someone isn’t cheering loudly enough for the warchief or if they dare to voice any discontent, they’re going to either quietly disappear or show up with a few more bruises than they had before. Baine and Vol’jin aren’t excepted from this, though Baine is the more outspoken of the two. Unfortunately for the trolls, their weaker position with the Horde makes it so that openly defying Garrosh is tantamount to suicide and Vol’jin’s hands are tied. Baine is also victim to what happens here, because the Tauren need the Horde but Baine violently disagrees with Garrosh’s motives, methods and leadership. It’s made clear from the start that he feels ambivalent about what is happening but is caught up in events. Yet I think even Baine doesn’t immediately understand the depths to which Garrosh will sink. This is actually worth mentioning here, before I forget, and it was Voss who asked me – do I think that Garrosh’s actions in ToW are out of character or forced? All along, people have been saying that Garrosh will need to do something truly horrific before it can be justified that he be the end-boss of an expansion. Heck, Rades and I did a comic about this very thing. Many people seemed to say “Yes, Garrosh is warlike, but he hasn’t really done much to warrant being especially targeted.” Well, the events in Tides of War sure change that in a shocking way. Back to the actual synopsis of the book – so the blue dragonflight loses control of the Focusing Iris. It’s not known who has it, merely that it’s gone. Kalecgos is able to trace it somewhat but then his sense of it disappears. He’s lost and frantic about how the artifact could be used, and so he seeks aid which is how he winds up in Theramore and meets Jaina. (I believe this is the first time they meet). Jaina, Kalec and a crack force of mages try to discover how to uncover the artifact so that he can trace it. How they do so doesn’t really matter – the crux of it is that Kalecgos is eventually able to sense the Iris and it is zigzagging all over Kalimdor. This should have been their first hint that it’s somehow airborne, but this doesn’t seem to occur to anyone. It’s not being borne on a dragon’s back, so how is it doing that? Anyway, Kalec realizes he will just be exhausted chasing it all over the place so he goes back to Theramore. Here’s where the romance part comes in. If you’ve read the interview WoW Insider did with Christie Golden, this romance is alluded to. I have some feelings about it. First, Jaina and Kalecgos as a pair isn’t too far-fetched, I suppose. He fell in love with Anveena, after all, and she was human(oid) and ended up being the Sunwell. So his romantic indiscretions with the ‘younger’ races are documented; he obviously doesn’t always have a thing for other dragons. It’s a joke in the book itself that Jaina isn’t exactly known for choosing the best romantic interests – Kael’thas (though they were barely involved, and Arthas…we all know how that one ended. Anyway, I don’t think Kalec is actually a bad choice for her. He’s a blue dragon so they have magic in common, and they’re both obviously powerful magic-users. In short, I like the romance but I think it was constrained quite a bit by the nature and length of the book. This is often my feeling about “one-book romances.” If you have a trilogy of books telling a story, you have time to do the more leisurely “maybe they’re starting to have feelings for each other” followed by the “something happens to keep them apart” that ultimately culminates with the satisfying “they’re finally together” feeling. In a book of this scope with this much story to tell, it’s tough to write a convincing romance but I think Golden did the best she could. You could also argue that in desperate times people will often turn to one another with feelings that are more quickly realized than would otherwise occur. Personally, looking at him makes my heart go “pitter-patter” but maybe not for the same reasons. Mostly because: whoa big blue dragon teeth, scary. Still, I tend to think of dragons as being less impulsive than regular people. They seem to love each other awfully quickly, which makes it less believable, but again – you work with what you have. So Kalecgos and Jaina are together by the end of the book, and throughout it he seems to flit back and forth a bit as he’s torn between his desire to recover the incredibly powerful artifact his people lost (whoops) and his twitterpated feelings towards Jaina. It’s rough, though. I feel for him. The guy only got to be a dragon Aspect for no time at all (to a dragon) and now he’s mortal again and his dragon buddies are all “Whelp, see you later” and he’s left holding the bag for having lost the Focusing Iris. So perhaps it’s natural that his attentions would turn strongly towards an engaging young woman – a powerful mage and extremely intelligent and powerful lady in her own right. 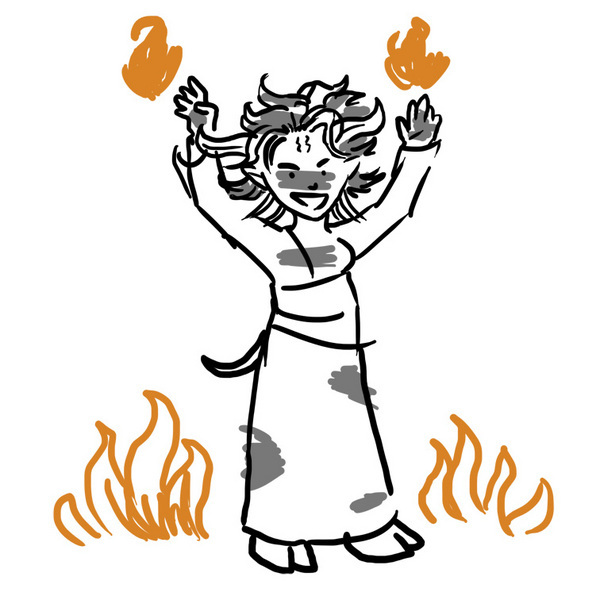 I feel like I’m dancing around the immediate facts of the book: the destruction of Theramore. It’s almost something I don’t want to put into words. I don’t want to talk about it, I’d rather talk about blue dragon courtship rituals. It was disgusting, and awful. Completely reprehensible and the opposite of honorable combat. This is how it happens: Jaina and Theramore have word of the coming attack thanks to Baine. North Watch falls easily as Thrall’s shaman harness the power of extremely dangerous molten giants (a power that could lead to another Cataclysm, according to the book). Theramore has time to prepare. Jaina calls upon the Kirin Tor, who send aid somewhat reluctantly and with the caveat that they will only defend and not be the aggressors. Stormwind sends a fleet of ships along with a number of great generals. One of them is a draenei! Rhonin is here too. Kalecgos himself comes to Theramore’s aid so that when the Horde come knocking, they’re ready for them. They’re able to repel the attack even though one of the Kirin Tor mages (a blood elf, naturally) is a traitor and was weakening the gates instead of strengthening them. So it seems as if they’ve won at least the initial skirmish, although they’ve suffered losses – including all of their aerial defenses, down to the last gryphon. This is where the other shoe drops. Kalecgos suddenly becomes aware of the Focusing Iris again. It’s nearby, because it’s on a goblin ship. And underneath that ship is the biggest mana bomb anyone has ever seen. Kalecgos tries to detonate it in the air (where it won’t harm the city) but is repelled by the defenses on the zeppelin. In a last-ditch suicide effort, Rhonin draws the power of the bomb towards himself while sending Jaina through a portal to safety. The mana bomb explodes in Theramore, killing everyone in a really large radius. Jaina is teleported to one of the rocky islands surrounding Theramore, where she still feels a significant impact from the blast but isn’t killed. I repeat: She’s not killed horrifically like every single other person, including Rhonin. I’m afraid I can’t really do justice to the emotional impact of this part of the book, at least for me. Jaina’s sassy gnome apprentice, Kinndy, is killed. Everyone. It’s established earlier in the book that Kinndy is the only daughter of the gnome in Dalaran who lights the lights, Windle Sparkshine. I LOVE this gnome. I can’t remember how many times I have followed him around Dalaran, and gone out to help light the lights myself. Just giving this character a tie to an existing in-game character meant that when she was cruelly snuffed out I sobbed. I didn’t want Kinndy to die, or for her parents to lose their only daughter. I didn’t even want Rhonin to die, and goodness knows I’m no Rhonin fan. (Although now that he’s dead, maybe we can stop hearing about what a mage he is, a damn good one.) But for him to die like this, in such an atrocity, through such an act of treachery… it’s unconscionable. Going back into the wreckage afterwards drives Jaina to the brink of sanity, as I think it would for anyone. It’s not just that people died, it’s that they died in a way that is so fundamentally wrong. Grief-stricken, Jaina goes to touch Kinndy’s body and it dissipates into purple sand. The infusion of arcane magic fueled by the Focusing Iris has wrought awful changes on everyone it worked on. Bodies are floating, there are rips and tears in the sky itself. Meantime, Garrosh is celebrating his flawless victory. It’s clear that he feels no remorse whatsoever for the manner of this massacre, and here incredulity and hatred for him begin to set in. Baine and other Horde-members with a conscience are sickened by what has been done. Whatever the Horde has become with this madman at its helm, they feel no connection to him or his further conquests. Without going into a tiresome conquest, the rest of the book plays out fairly predictably. Jaina takes the Focusing Iris with the intention of using it to level Orgrimmar in the ultimate act of vengeance. Anduin and Varian are both appalled by the change in her, and ultimately Kalecgos and Thrall manage to talk her out of making what would have been a mistake that would change her personally even as she achieved her revenge. There are a few other good moments – Anduin blessing the Alliance troops as they leave for Kalimdor, while reflecting on the necessity of war even when you love peace – and the fact that draenei were actually mentioned in this book a few times besides as “awe inducing shaman.” It seems the people of Azeroth have grown more used to draenei, or else the writers are sincerely trying to integrate them into the ongoing story. I would have only wished that one of the mages sent from the Kirin Tor had been a draenei (they had one of nearly every other race!) but we can’t have everything. 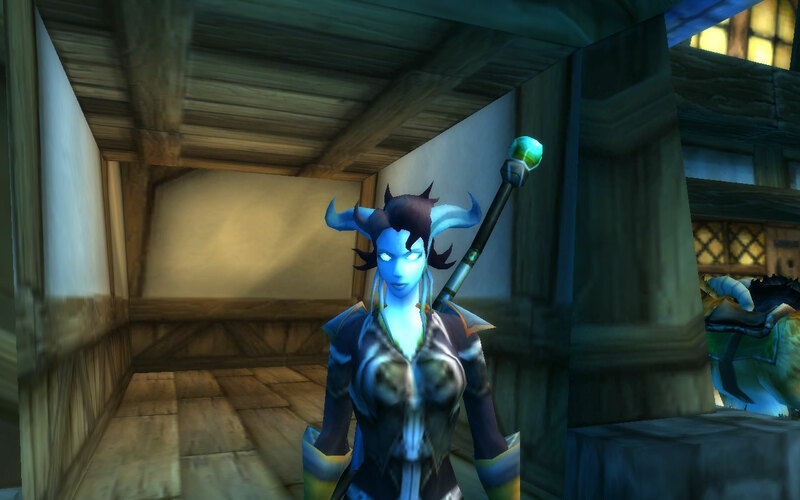 Draenei are always shaman and paladins and that is just the way it is (brb, rerolling). Tides of War was a good book. I appreciated as well the subtle integration of the in-game scenario, although I missed it at the time and had to go back looking for it. At some point, there is mention of “five people” helping Jaina and Rhonin. I can see where the scenario will fit, although I honestly have no idea how that’ll work for Horde players because it doesn’t make any sense whatsoever for them to help Jaina or Rhonin at that part of the book. Even friendly Horde aren’t going to be very welcome in Theramore at that time. I’m also regretful that today’s From Draenor With Love won’t necessarily make sense in the context of actual events, although it could happen during the initial assault on Theramore! Anyway, we conceived and created it at a time when we didn’t have all of the information. I think it’s still a useful reflection on the horrors of war in general, especially when you have mixed allegiances and your feelings don’t lie with factions but with people. For this reason, Baine is one of the most sympathetic characters in ToW for me. What an untenable position he’s in. Jaina is the more obvious and sympathetic character because she’s just been through truly horrific things. Baine also lost his father at the hand of the orc he’s now duty bound to serve as he leads the Horde to ruin. I’m glad that by the end of the book he basically says, look buddy, eff you and don’t come around to Mulgore either. This all paints Pandaria in a completely different light for me. I am happy to explore the new land and to see the wonders it has to offer, but there’s a sombre feeling. Where will all these struggles end? What more harm can Garrosh do to our people (and his own) before he’s finally taken down? Another thought: wouldn’t it be awesome if the Let’s Kill Garrosh raid was the only raid that you could accomplish cross-faction, with both Alliance and Horde in your party? It makes sense, doesn’t it? You guys will want him dead, we’ll want him dead, why can’t we work together to do it? 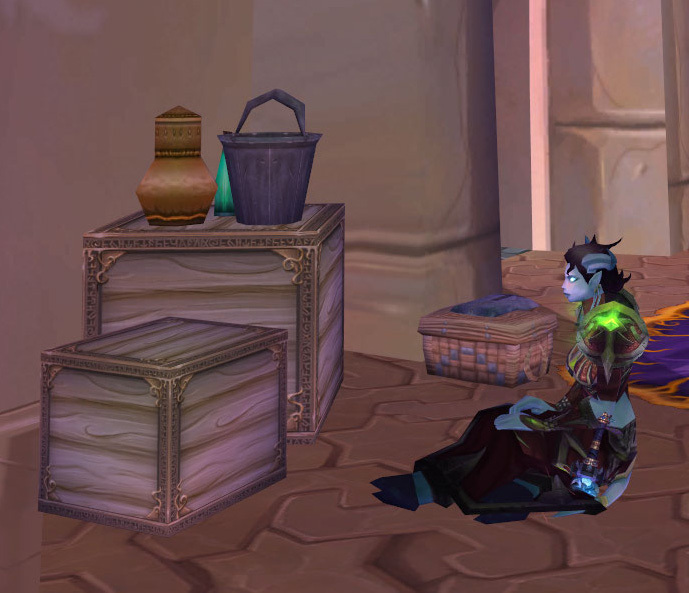 Randomly: nice touch that when the Earthen Ring heard about what had happened with Theramore, a draenei starts to cry and she’s comforted by her troll friend. I like any emphasis that our races don’t necessarily determine who or what we stand for, and the Earthen Ring is one of those truly neutral groups wherein faction divisions cease to matter. See, draenei can be friends with trolls and orcs, too. So, that is my huge ramble about Tides of War. If you made it to the end, you deserve a conjured cookie. Please feel free to say all that you need to about the book or the events in it or whatever you want in the comments. This is a spoiler-rife zone, so you don’t have to hold back. Everyone was forewarned! This is what happens when I have to draw something in five minutes because it's a contest on Twitter. This is how I feel about lighting things on fire. These are some blog entries this week that I enjoyed – because there are many awesome entries out there for the reading! I could pretend this will be a Thursday-Friday thing, but let’s be honest, I’ll probably just do it on any day that I remember and name it after that particular day. Natalie over at Pocket Heals has five tips to help you to beat the pre-expansion blues, and they’re good ones! I’m still putting off cleaning my bank character’s junk, though. Antigen from Haz Mace, Will Raid writes a thought-provoking post about the burden of being a hybrid, and he’s not talking about slightly lower DPS. Well worth a read for any class that’s capable of multiple specs – and even for those of us playing pures – sometimes it’s important to think about what things are like for other folks. I’m late to the party on this one, but Kiss My Alas just turned a year old! Head on over and wish her a happy Blogaversary! I don’t like how that word sounds like “adversary.” Maybe I’m just spelling it wrong. If you haven’t been reading Rades’ Letters From Northrend at Orcish Army Knife you are missing out! You can read a missive from the Time Lost Proto Drake, all about how Xevozz is back in business, and even Arugal. I’ve really been enjoying them. 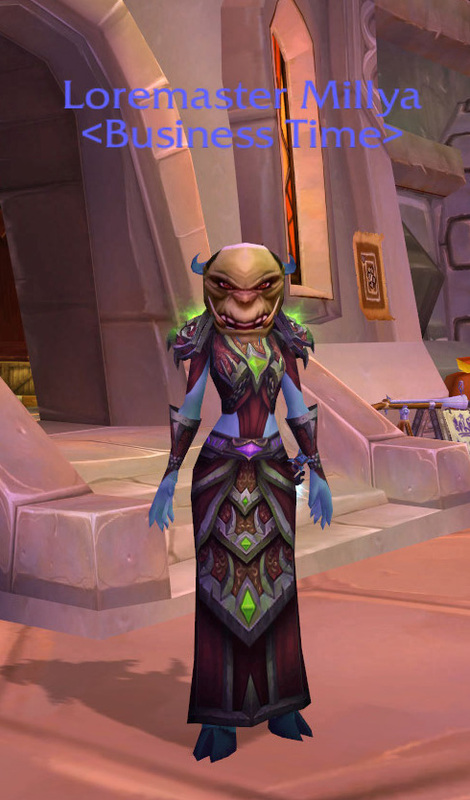 All they need now is more draenei. My friend Snack (you might remember him from such guests posts as: From Bad To Less Bad: Pugging As a Tool To Improve) started a blog of his own! Here he writes about how he and Liala have been schooling lowbies to respect their business area. That’s not exactly how he put it. I expect great things of him and this blog! By the way, it may also interest you to know that the odds Liala was tanking while walking on a treadmill are pretty high. How’s that for skill?! Finally, last but not least, Payce is blogging again! And he has an awesome story about the Red Shirt Guy. I’m not going to get into it here if you don’t already know who the Red Shirt Guy is. Youtube will tell you all about it if you don’t know. It sounds like being the Wildhammer Fact Checker is paying off for him.